The forgotten protagonist of this true account aspired to be a cubist painter in his native Kyïv. In a Europe remade by the First World War, his talents led him to different roles-intelligence operative, powerful statesman, underground activist, lifelong conspirator. Henryk Józewski directed Polish intelligence in Ukraine, governed the borderland region of Volhynia in the interwar years, worked in the anti-Nazi and anti-Soviet underground during the Second World War, and conspired against Poland's Stalinists until his arrest in 1953. His personal story, important in its own right, sheds new light on the foundations of Soviet power and on the ideals of those who resisted it. By following the arc of Józewski's life, this book demonstrates that his tolerant policies toward Ukrainians in Volhynia were part of Poland's plans to roll back the communist threat. The book mines archival materials, many available only since the fall of communism, to rescue Józewski, his Polish milieu, and his Ukrainian dream from oblivion. 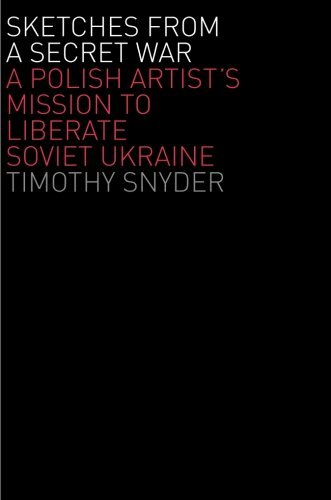 An epilogue connects his legacy to the disintegration of the Soviet Union and the democratic revolution in Ukraine in 2004. Pro Historia Polonorum, for best book on Polish history by a foreign scholar in the previous five years, 2008. Shortlisted as one of three books for the main Polityka history prize, 2009. Shortlisted as one of nine books for the Moczarski history prize, 2009. The Polish painter composed himself in his cell. It was September 1953, and thus far Henryk Jozewski was pleased with his performance in communist prison. After thirteen years underground, resisting Hitler’s and Stalin’s occupations of this country, Jozewski had been arrested by the security forces of communist Poland that March. At first, his interrogators seemed rather disoriented. Jozewski was arrested only two days before the death of Iosif Stalin, and after a few disorderly weeks his interrogators had retired. Jozewski, who had expected a quick death from the communists, instead enjoyed a summer of delays. He read philosophy books, and had long discussions with a loquacious cellmate. By September, however, the communists had learned something important about the painter’s political life, about his career in independent Poland before 1939. Jozewski had been a leading anticommunist. His interrogator produced documents: the painter had been sent to the eastern province of Volhynia in 1928 to stop the spread of communism from the Soviet Union to Poland. Soon thereafter, the interrogator was able to prove that Jozewski, in 1919 and 1920, had distracted intelligence operations for a Polish paramilitary organization in Ukraine in the aftermath of the Bolshevik Revolution. Since communist criminal law was retroactive, all of this was a crime.